[S428] Marilyn Joan LaPlante PhD, "Darius Holcombe," e-mail to James H. Holcombe, 6 April 2003. Fred C. and Carrie H. were enumerated in the 1900 Winchester, Litchfield, CT, federal census. They were boarding in the household of Sarah Perkins. Fred was 47, Carrie was 35. There were no children in the household. Fred and Clara A. were enumerated in the 1920 Pasadena, Los Angeles Co., CA federal census. He was a carpenter, age 66, she was 67. The only child in the household was Paul C. 15. 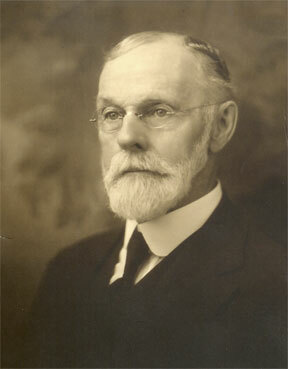 Frederick C. was enumerated in the 1930 Pasadena, Los Angeles Co., CA, federal census. He was 77. Also in the household was Paul C. Case, 25, Mary Case 23, and Paul Case 1. [S418] Ruth Cost Duncan, John Case 2nd Edition, Page 110, Item 286. [S588] Certificate, Caroline Edith Holcombe and FredericK C. Case marriage of 22 February 1900. [S182] Social Security Death Index (on-line), Ancestry.com, SSDI, Ancestry.com, SSAN 473-20-6973. Mirian Davy married (?) Maravec.1 Mirian Davy was the daughter of Jerry Davy. [S182] Social Security Death Index (on-line), Ancestry.com, SSDI, Ancestry.com, SSAN 481-07-9367. Marilyn Joan LaPlante PhD was born on 7 February 1939 at Sioux City, Woodbury Co., IA.1 She was the daughter of Herman Louis LaPlante and Loretta Leona Woolridge.1 Marilyn Joan LaPlante PhD died on 14 January 2005 at Gobles, Van Buren Co., MI, at age 65. Marilyn provided the data on this family that descended from Darius Holcombe. She graduated (BA) from the University of Iowa, Iowa City, from the University of North Carolina, Greensboro (MA), and from the University of Wisconsin, Madison (PhD). "Marilyn La Plante, our good colleague for 21 years, passed away at about 2:30 Friday morning, 1/14/2005. Marilyn came to "K" in 1979 as Associate Provost, becoming Dean of Students in 1984. In 1997 she assumed the responsibilities of Vice President for Experiential Education, a position from which she retired on commencement, June 10, 2000. Marilyn was one of the College’s wisewomen; strong of heart and intelligent in counsel. Though certainly not the first to talk about experiential education at "K", it was her vision that helped us push the boundaries of our thinking outward. In her, students had an advocate, and she encouraged their voices. The LaPlante Scholars Endowment at the Mary Jane Underwood Stryker Institute for Service Learning continues to fund stipends and internships for students. " [S440] Myrtle Stevens Hyde, "A Wolcott Correction." Lt. Elisha Winchell was born on 17 August 1728 at Turkey Hills (now East Granby), Hartford Co., CT.1 He was the son of Lt. Thomas Winchell and Jemima Owen. Lt. Elisha Winchell married Mary Thrall. Lt. Elisha Winchell died on 12 June 1798 at East Granby, Hartford Co., CT, at age 69. [S45] Albert C. Bates, Simsbury, Page 87. Mary Thrall was born on 21 May 1730. She married Lt. Elisha Winchell, son of Lt. Thomas Winchell and Jemima Owen. Mary Thrall died on 2 October 1824 at Granville, Hampden Co., MA, at age 94. Stephen Winchell was born on 13 August 1677 at Windsor, Hartford Co., CT. He married Abigail Phelps, daughter of Samuel Phelps and Sarah Griswold, on 10 March 1697/98 at Windsor, Hartford Co., CT.1 Stephen Winchell died on 18 December 1725 at Simsbury, Hartford Co., CT, at age 48. [S335] Charles William Manwaring, Manwaring, 2:421, 26 December 1715, Sarah (Griswold) Pinney, widow of Samuel Phelps. [S25] Hannah McPherson, Holcombe Genealogy, Page 130.2. [S25] Hannah McPherson, Holcombe Genealogy, Page 131.1. [S25] Hannah McPherson, Holcombe Genealogy, Page 132.1. Elmer and Laurel were enumerated in the 1930 Des Moines, Polk Co., IA, federal census. He was a plumbing contractor, age 41, she was 25. They had been married about three years. There were no children in the household. [S25] Hannah McPherson, Holcombe Genealogy, Page 132.2.